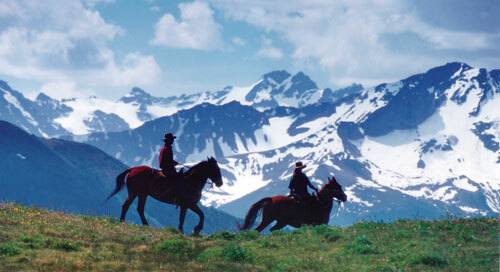 Horseriding is very popular activity in Hawaii. It is intended for those who love nature and horses. Many agencies organize such entertainment in the main Hawaiian Islands of Oahu, Maui, Kauai and Hawaii. Usually ride lasts at least an hour. There are two-hour, three hours and even longer tours that will cost more, of course. The pace is slow, so the ride is suitable both for beginners and for more experienced riders. Riding is a unique way to see the nature of the islands. To ensure customer satisfaction, agencies organize tours for small groups (private tours are also available). Experienced guide leads the group and gives detailed information. Horseriding trips are possible in many beautiful places, so bring your camera because you will have the unique chance to make a lot of unforgettable images. Luxury horseriding holidays are also increasingly sought after and made possible through the advancement of technologies in flycamping. Before you book your ride, check if the agency puts some restrictions. Some agencies have age, size and weight restrictions. It is also advisable not to wear closed shoes. Wearing long pants will also increase the comfort of the ride. Some agencies provide their customers with a bottle of water, snack or lunch. But if your company does not provide you what you take at least a bottle of water. The horses are friendly and well trained. So do not be afraid to get on the horse, even if you are a beginner. Your guide will give you precise instructions before riding. In some stables can even take private riding lessons. On Oahu, one of the most beautiful places to ride Kulaoa ranch is located on the east coast of the island. This is a place where besides beautiful ocean and vast valleys, you will recognize certain areas used for film location for many famous Hollywood productions such as “Jurassic Park,” “Godzilla,” “Talking with the Wind” and “50 First Dates”. Other agencies will offer riding on the north shore of Oahu. Some of the sights include Kaena Point (northwestern most point on Oahu), Sunset Beach, Banzai Pipeline and Turtle Bay. You can find many ranches in Oahu, so the above are not the only places where you can ride. Some agencies offer free or for a small charge transportation from Waikiki to the place of riding. The most appropriate location for riding on Maui’s Haleakala Mountain. There are many agencies on the island, which will be happy to take you for a ride there. Mount Haleakala is the largest dormant volcano in the world and must see if you are on the island. While riding in the mountains, you will see an incredibly beautiful flower, called “silver sword.” In addition, you will see spectacular views, the guide will tell you the story of the island, interesting information about the flora, fauna and volcanoes. Do not hesitate to ask if you are interested in something. The guide will answer you with pleasure. Another remarkable place riding on Maui is Kipahulu- ancient place, bearing in itself legends and historical events. You’ll see legendary sites and battlefields and learn about the culture and history of the ancient Hawaiians. Inside of Maui is “sees it” (cowboy), offering opportunities for an exciting ride through the rainforest. Kauayskata beauty is endless. There are countless places that can be visited in different ways. Riding is one of them. To enjoy the rainforest, waterfalls and hills, you will need to stop by the main road and plunge into the depths of nature. You can join expeditions to Prinsvil. Nature there is breathtaking and you will enjoy both the mountains and the Pacific Ocean. Some of the most popular places in this area are Anina reef, which is the largest reef in Hawaii, Kilauea lighthouse, a bird sanctuary and many others.